THE FIRST EVER RUSSIAN funeral death doom album, released ON VINYL! Format: LP (gatefold sleeve), 6 tracks. 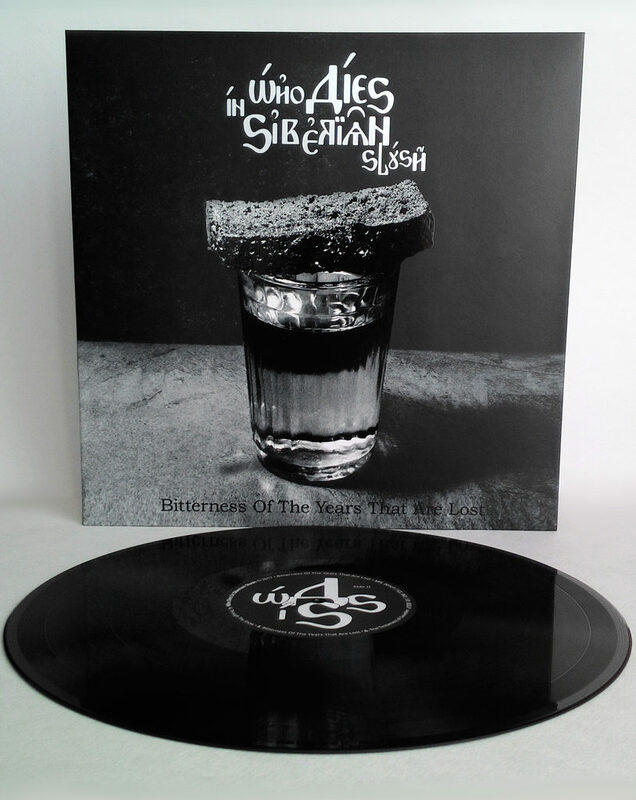 Who Dies in Siberian Slush, the style founders of funeral death doom in Russia, have completely re-recorded their cult album “Bitterness of the Years That Are Lost”, published in 2010. Preparation of this release began back in the fall of 2016. The recording process involved a unique arsenal of musical instruments, including a flute and a trombone! Mixing and mastering were perfectly performed by Greg Chandler (Priory Recording Studios, Birmingham, UK). In this vinyl edition WDISS demonstrate a high level of performing skills and a passion of the band members for heavy and slow music. The LP is available in a collector’s edition on 180 grams black vinyl with excellent artwork. The edition is limited to 300 hand numbered copies.